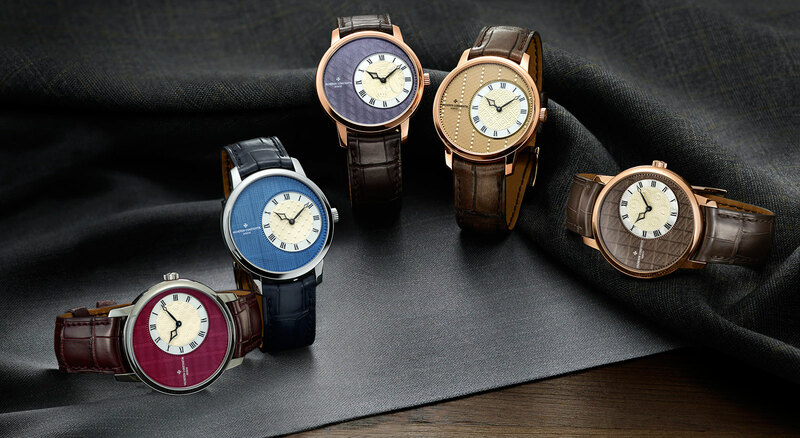 Vacheron Constantin has turned to the men’s tailoring for the Métiers d’Art Elegance Sartoriale quintet of watches, joining Hublot with its Berluti collaboration in borrowing from the world of men’s clothing. 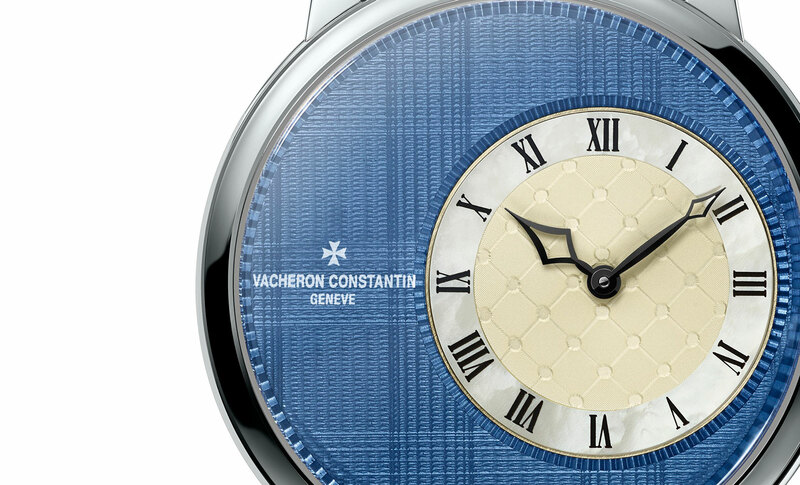 These feature hand-made vitreous enamel dials decorated after the patterns found on traditional suit fabrics like windowpane check and pin stripes. Each Elegance Sartoriale wristwatch features an off-centre dial, leaving an ample canvas for the decorative enamelling. 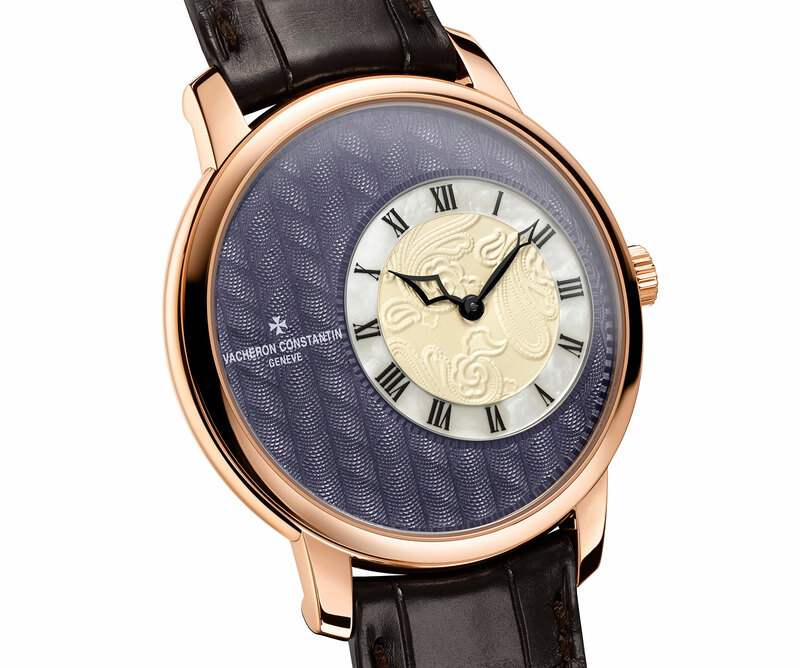 Engraved by a hand-cranked rose engine, the guilloche is engraved on a solid gold disc and takes after various fabric patterns, including Prince of Wales check and herringbone. The guilloche surface is then covered in colour enamel and fired in an oven, hardening the enamel and giving it a glossy, vibrant finish. The clothing references continue with the rest of the dial: the chapter ring of the sub-dial is mother of pearl, the same material used for shirt buttons, while the dial centre is solid gold with an engine-turned motif modelled on pocket square fabrics like paisley. The case is solid gold, either rose or white, and 40 mm wide. 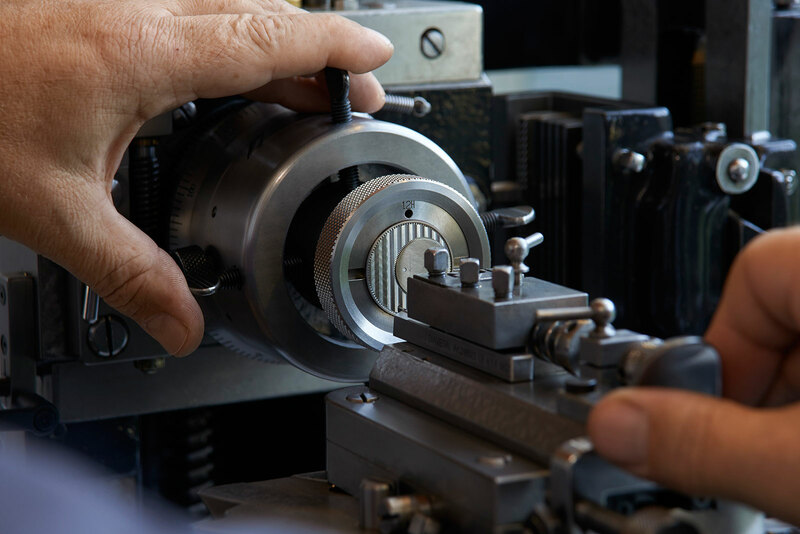 The hand-wound calibre 1400 inside, however, is a small 20.65 mm in diameter, occupying same footprint as the off-centre dial on the front. Like all of Vacheron Constantin’s mechanical movements, it has been finished to the standards demanded by the Poinçon de Genève. 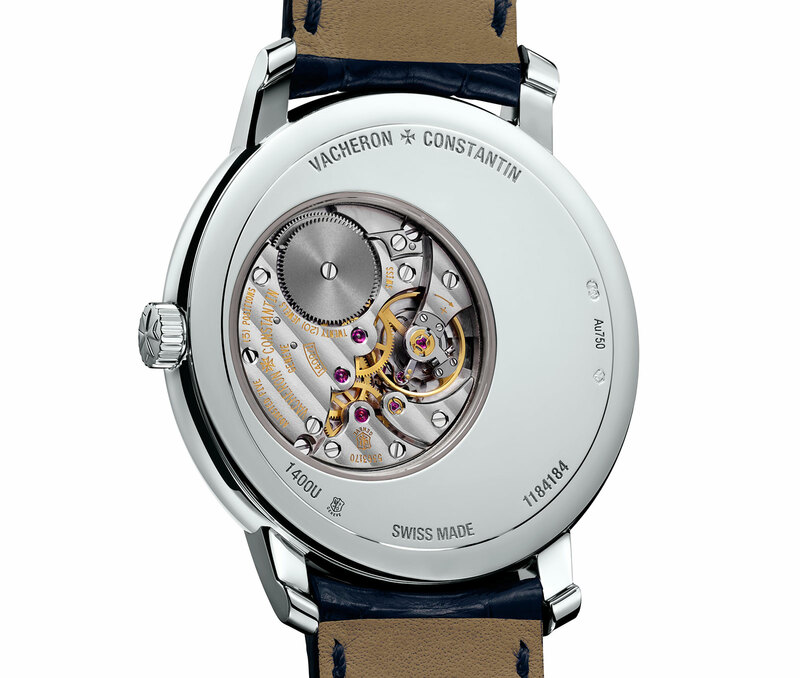 Also known as the Hallmark of Geneva, it lays out functional and decorative standards for movements made in the canton.